Mahindra is finally ready to replace the ageing SsangYong Rexton with its second-gen global model, the G4 Rexton, on 19 November, 2018. The soon-to-be flagship Mahindra SUV, which is codenamed the Y400, is yet to receive its official name. 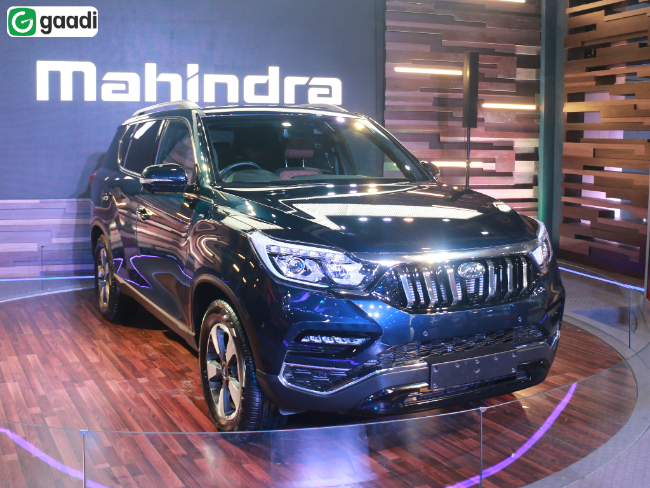 Moreover, the SsangYong SUV will now come with a Mahindra badge as announced at the 2018 Auto Expo in February. The second-gen Rexton will be locally assembled at Mahindra’s Chakan plant with CKD kits imported from SsangYong’s (Mahindra’ sub-brand) facility in South Korea. The full-size, body-on-frame SUV will have its own space in Mahindra’s revamped dealerships. Like the international-spec SsangYong G4 Rexton, the Mahindra Y400 will be powered by a BSVI-ready 2.2-litre, 4-cylinder diesel engine which produces 180PS of power and 420Nm of torque. The engine is mated to a Mercedes-Benz-sourced 7-speed automatic transmission and is unlikely to come with a manual. Full-size, body-on-frame SUVs have become significantly feature rich of late and the Y400 will be no exception. It’s expected to pack HID headlamps, LED DRLs, electric sunroof, dual-zone climate control, ventilated seats, 8-inch touchscreen infotainment system, nine airbags (segment-first), electric parking brake and brown leather upholstery, among others. The rebadged SsangYong G4 Rexton will rival the likes of the Toyota Fortuner, the Ford Endeavour, Isuzu mu-X and the ageing Mitsubishi Pajero Sport. It is expected to be priced between Rs 25 lakh - Rs 30 lakh. Monocoque SUVs such as the new Honda CR-V, Volkswagen Tiguan and the Mitsubishi Outlander are also positioned in a similar price band. Watch latest video reviews of Mahindra G4 Rexton to know about its interiors, exteriors, performance, mileage and more.